for the Black-poll Warbler, Nesting Habits of the White-bellied Nuthatch, January Prize Questions, Ten Prize Questions, Editorial, Book Review, Exchanges and Wants, LIGHTNING TAXIDERMY. A Bimple and easy method of prceerving andmounting birds of all clzes as natural as life With-out Skinning. They retain their natural shape andno insect will touch them. We have tested it for30 years, and will refund price paid if not as repre-sented, PRICE ONE DOLLAR. L. G. BISHOP & SON, Taxidermists, NECEDAH, WIS. milTC O^ INSECT COLLECTING. Allllll W manual for the beginner, mailed for10 cents. GEJO. M. I^ICHIwIOND,5 BBEKMAN ST., N. Y. CITY. MAGAZINES, i^rpo^.T^rE ey refunded if not satisfied. PRESS, Box 3259 New York City. -4H WM. G. SMITH. H COLLECTOR OF Birds, 3/tammals aad 3E LOVELAND, COLORADO. I make a specialty of mailing birds sameskinned when preferred. Stamp for price-lie W^. N. COLTON BiDDEFORD, Mains. Marine Curiosities, First-class Birds ^nd INDIAN I^E;LIC For Sale and to Exchange. 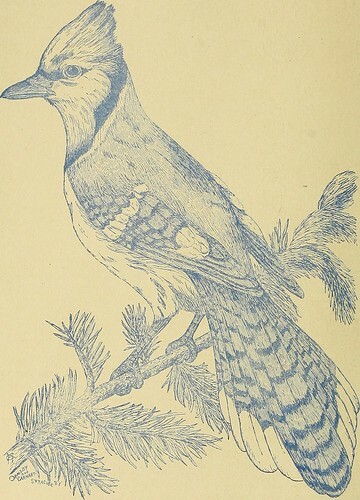 THE BLUE JAY, Cyavocitta cristatn. 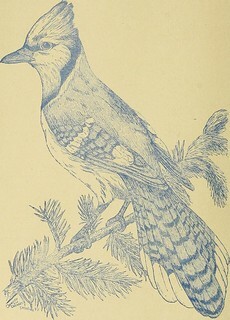 (from a paintinq by w. h. foot? ) tme: ORNITHOLOGISTS -^ AND * OOLOGISTS SKIVII-^NNU^L. VOL. I, JULY, 1889. NO. 2. A TRIP TO THOMPSONS LAKE. BY DR. \V. S. STRODE, BE.RNADOTTE, ILL.